A planning application has been submitted for a 450 dwelling development on a former greenbelt site in Rotherham. 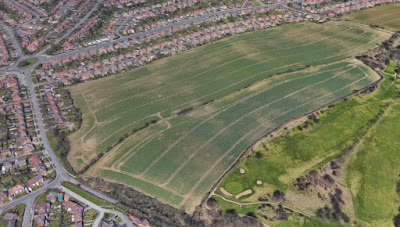 Landowners and applicants, AE Waddington, R Parkes & V Foers, successfully secured a residential allocation for the nearly 50 acre site off Lathe Road / Worry Goose Lane at Whiston through the development of the borough's Local Plan. The site consists of two arable fields divided by a bank and hedgerow and sits between existing housing and Sitwell golf course. 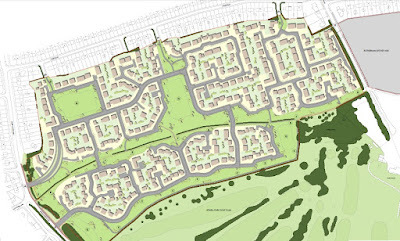 Plans, drawn up by JVH Town Planning Consultants Ltd, state: "The overall vision for the site is to create an attractive and sustainable development, to provide a new living environment which will provide a mix of new homes, open spaces and attractive recreational areas in keeping with the edge of settlement location. "The site has been actively farmed for arable crops under modern farming methods. 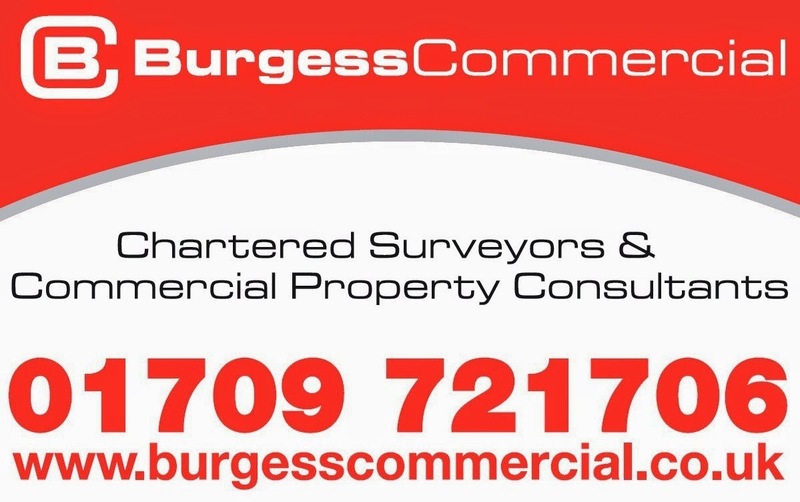 The site is contained within two land ownerships, both of the land owning parties are collaborating to bring this land forward for development and have progressed the site through the stages of the development plan and now are working together to obtain an outline planning permission." A number of assessments have been included with the application covering highway matters, ecology issues, landscape, flood risk and drainage, utilities, ground conditions, air quality, and heritage assets. The application has already attracted a number of objections. One of the main issues is the impact on the local transport network and assessments conclude that the increased traffic can be accommodated on the road network without the need for highway improvements other than at Worrygoose Roundabout and the A6021/B6410 Junction. Rotherham Council has previously highlighted that Worrygoose Roundabout requires £1m of upgrades and can be paid for by contributions from the Community Infrastructure Levy (CIL), which the applicants in this case will have to make a significant contribution to. The development will also need to support affordable housing policies. The plans conclude: "The scheme will provide an attractive development providing homes and open spaces on an allocated site together with making the necessarily planning contributions and CIL payments to enhance services in the surrounding area." Waddingtons is perhaps best know for commercial development in Rotherham, bringing forward sites in Aldwarke, Eastwood and Dinnington. No. 26 Makers Emporium is celebrating its five-year milestone this month. Transforming the former Snafu rock bar in Rotherham town centre, the Makers Emporium offers low-cost shared and professionally-managed retail space to a mixture of makers, crafters, artists and designers. Funded by the High Street Renewal Award and delivered in partnership between Rotherham Council and The Source Skills Academy, it aims to support new start-businesses looking to trade for the first time, raise awareness of their products and letting them see for themselves what takes to run their own business. Since opening in 2014, the High Street store has supported over 100 talented local artisans, crafters, designers, makers and independent businesses. Having been influenced by her review of High Street, the store was officially opened by Mary Portas. On a return visit, the retail guru said: "I love this place. It's unique, creative and full of talent and new ideas." Cllr. Denise Lelliott, Cabinet Member for Jobs and the Local Economy at Rotherham Council, said: "The Makers Emporium is a lovely building giving visitors access to a wide selection of unique products and gifts, information on local attractions and the local theatre box office, all under one roof. 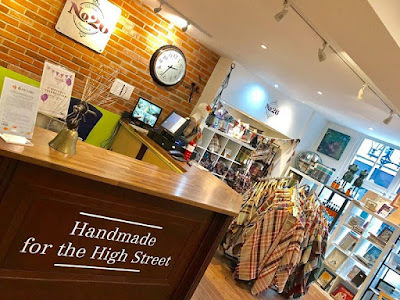 "Over the last five years, it has given local makers, crafters, artists and new start businesses a unique opportunity to trade for the first time in a professionally managed retail space, so I'm delighted to see it celebrating its fifth anniversary this month and would encourage everyone to visit and see what's on offer." The Makers Emporium has also served as an apprenticeship training hub, with seven apprentices from The Source completing their qualifications here before moving into full-time employment within the retail industry. Daniel Stanbra, director of operations at The Source, said: "The Source has been working with Rotherham Council to support the Makers Emporium so that it can be a centre for retail apprenticeships in the town centre. "Over the last few years we've seen some very capable and skilled apprentices come through the Makers Emporium's door who have gone on to find employment and progress their career further. We’re really proud to have provided them with a fantastic place to establish their career path." A new look Skills Bank has been launched as part of a strategic aim to increase the number of high productivity jobs in the Sheffield city region (SCR). The Skills Bank was designed to give employers greater purchasing power and control in how Government funded training is accessed. The aim is to create a demand-led skills system and encourage companies to co-invest in skills support for their own employees. After a new procurement exercise, Skills Bank is now delivered by Calderdale College. The business led programme developed by the Local Enterprise Partnership (LEP) uses devolved government funding, matching private sector investment with public funding. Part of the SCR Growth Hub offer to businesses, funding is available to businesses that make a strong case for how the investment will deliver growth. The service aims to cut through red tape to enable firms to access bespoke, tailor made training. Dan Jarvis, mayor of the Barnsley, Doncaster, Rotherham and Sheffield Combined Authority, said: "We're a region that has some fantastic businesses and world class training facilities, including our Further Education Colleges, the National College for High Speed Rail and the University of Sheffield AMRC Training Centre. The Sheffield City Region Skills Bank is another important part of our work to build a skills system that delivers for businesses, communities and the economy. "Skills Bank is an example of an innovative locally designed solution and shows the benefits of devolving resources to local areas." James Muir, chair of the Sheffield City Region LEP, added: "Businesses tell us that publicly funded training for businesses can be hard to access and that the system is complicated. Skills Bank and our advisors can help businesses cut through this. This is good for the region, good for the profitability of businesses and helps grow the skills of our workforce. "So long as a business can show that it helps boost productivity and grow our economy it should be a straightforward transaction. It's win-win. I'm absolutely delighted that it has gone live." Ebrahim Dockrat, director of commercial services and partnerships at Calderdale College, said: "Skills Bank is a fantastic initiative for Sheffield City Region and we are thrilled to be in a position where we can support local businesses. "Our focus will be on helping employers develop the skills they need to grow their business and we bring a huge amount of expertise from our many years of working closely with the Education and Skills Funding Agency on major funded training programmes." Plans are being updated for a further 430,500 sq ft of commercial space on the Advanced Manufacturing Park (AMP) in Rotherham. Rothbiz reported last year that landowner and developer, Harworth Group, had secured outline permission that would provide consent for around 35 acres of land to be used for flexible high quality business, manufacturing and office floorspace. The UK's premier advanced manufacturing park is at Waverley, Yorkshire's largest ever brownfield mixed-use development at 740 acres. 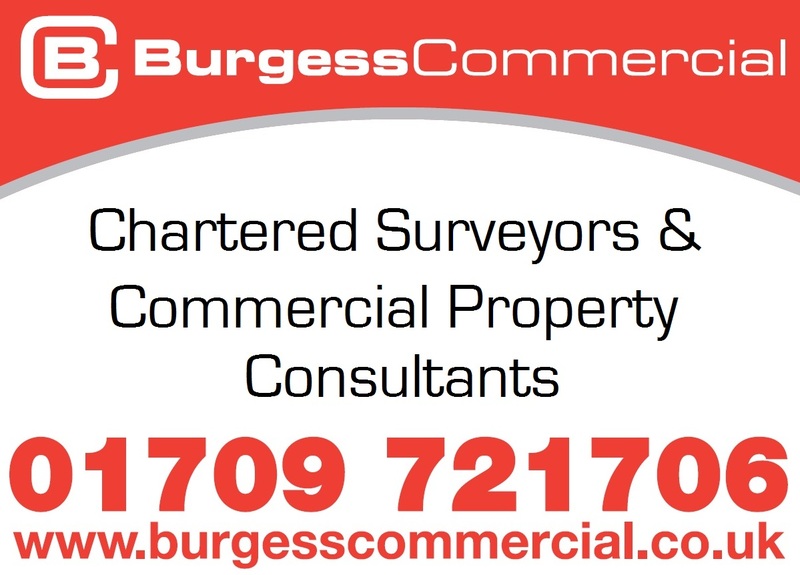 Consent has been given for 2.1m sq ft of commercial space and just under 1.5m sq ft has been built, delivering 1,500 skilled jobs. The remaining 15 hectares of the former mining site have been prepared for commercial development. The remaining undeveloped plots will provide further high-quality business, manufacturing and ancillary office floorspace. The latest phases will see the continuation of the successful R-Evolution development and the introduction of a new scheme called AMPlify. There is the potential for over 2,000 new jobs to be created through the development of the remaining land. Three times as many people are now employed at the AMP than were employed at Orgreave Coking Works when it closed in 1990. New companies will be able to move in alongside the likes of McLaren, Rolls-Royce and the multi-million pound research facilities of the University of Sheffield Advanced Manufacturing Research Centre (AMRC). The masterplan shows a range of units to the South and East of the £50m Mclaren Composites Technology Centre (MCTC). Three units and a new service road are set to be created on unused land between the existing AMP and the Parkway. The latest application provides details to address the conditions of last year's approved plans and covers materials and appearance, access and tree planting. The applicants are hoping to amend the conditions so that sub areas covered in the outline permission can be delivered separately over a longer time period. Agents for the AMP are Knight Frank and Gent Visick. Folláin Preserves, a premium Irish food producer, intends to go global after working with Rotherham-based Beatson Clark to rebrand its glass packaging. Founded in 1983, the County Cork based company, which produces a wide range of high-end, home-made food products, decided to overhaul its current packaging and approached Beatson Clark for a bespoke solution. 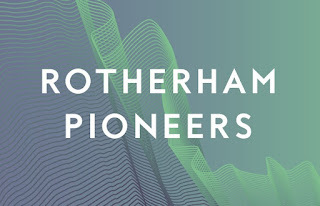 The Greasbrough Road firm, which has been making glass bottles and jars in Rotherham since 1751, specialises in providing glass packaging solutions for niche brands in the food, drink and pharmaceutical markets worldwide. Experts worked with Folláin's marketing team to design and produce a 330ml jar. The curved square jar will be used for Folláin's range of preserves, pickles and relishes. 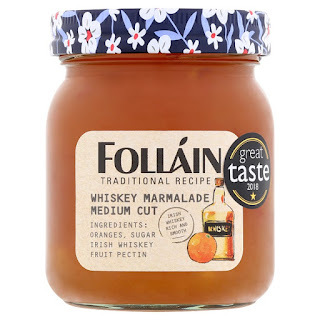 Folláin – which is the Irish word for wholesome – predominantly sells its products into the Irish market but wanted to grow its sales in Europe, and felt the time had come to replace its standard glass jar with something more unique and premium in look and feel. Laura Hewson, marketing and sales manager at Folláin Preserves, said: "We are a premium brand, and we wanted our packaging to reflect that with something unique to us. The standard jar we were using didn't represent the quality of the contents within. "Our aim was to create a vintage and old fashioned-style jar, which would become a collectable, encouraging customers to reuse and recycle them. With support from the team at Beatson Clark, we have managed to achieve just that. "We worked with Beatson from design right through to the final production run. We spoke to lots of glass manufacturers, but Beatson Clark demonstrated their credibility to work with a brand of our size and their competency in terms of capacity, design specification and size of the project." The jar has a deep twist-off neck and has been finished with a simple and clean-looking label. Dean Arey, design engineer at Beatson Clark, worked with Folláin to design a pack which would allow them to take their brand to the next level. "Rebrands of this size are often critical to the development of a brand, so it was important for us to achieve a design which Folláin felt would elevate their position in the European market," said Dean. "With a major packaging overhaul of this size, developing the concept is as critical as the quality of the finished product. We have found that many companies of Folláin's size approach us as their packaging partner for rebrands because we have design and manufacture capabilities in house and are able to work with them on every aspect of the project over the medium and long term. "We firmly believe taking a flexible approach makes us the go-to glass manufacturer for rebrands. We are able to give customers something completely bespoke, which, in an ultra-competitive food and drink market, is very important."